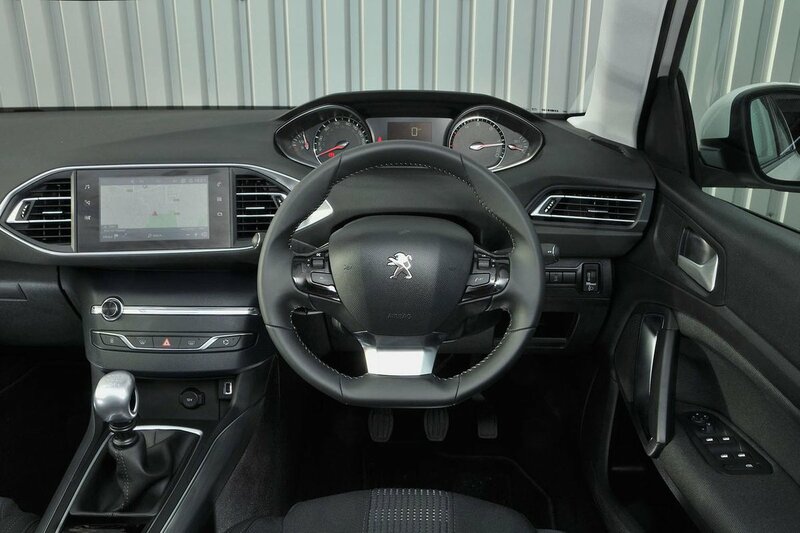 Peugeot 308 Interior, Sat Nav, Dashboard | What Car? The 308’s i-Cockpit design doesn’t suit all drivers, with many complaining that the steering wheel interferes with their view of the dials, while the high-set binnacle makes it difficult to see the end of the bonnet. Then there’s the driver’s seat. It has height and lumbar adjustment and feels comfortable initially, but on the move you notice that there’s not much side support in tight bends and the short seat doesn’t support your thighs that well. The 308’s pedals also feel too high, so while your leg may be comfortably outstretched when the clutch pedal is depressed, your knees are acutely bent the rest of the time. 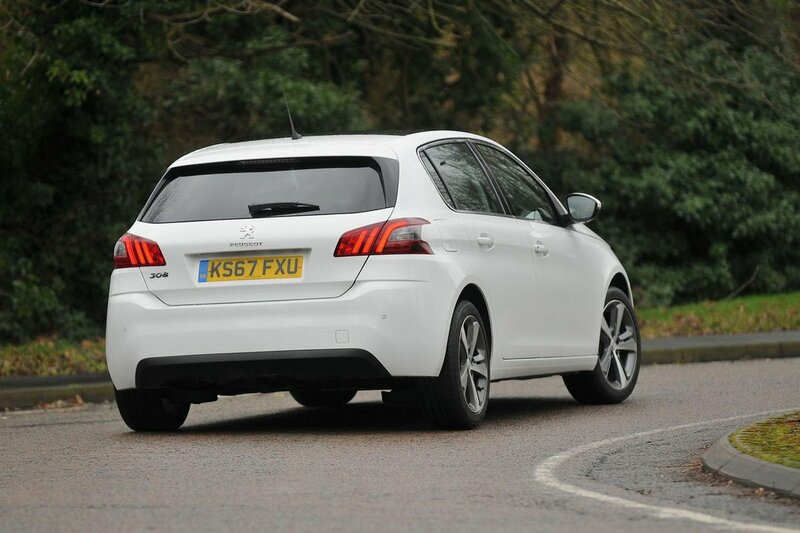 Forward view is good, thanks to the 308’s deep wide windscreen and generous front side windows. That means negotiating T-junctions and roundabouts can be done in confidence. The view backwards isn’t so straightforward, because the 308’s rear window is rather small and its rear pillars relatively wide. Handily, rear parking sensors are standard across the range, while a reversing camera comes as standard on GT Line, as well as the GT and GTi models. Visibility at night improves from third-rung GT Line trim, because that’s the point from which the 308 gets LED headlights as standard. They’re an optional extra on second-rung Allure trim, although they’re a pricey addition. Entry-level models can’t have them. A 9.7in infotainment touchscreen is standard on all models. It comes packed with features including Apple CarPlay, Android Auto and MirrorLink, which allow you to use some of your smartphone’s features, including sat-nav, through the car's touchscreen. However, if you don’t like the idea of using your mobile data, even entry-level Active trim comes with a fully integrated sat-nav system, with three years of TomTom Live Services sat-nav updates provided at no extra cost. In terms of functionality, the expansive touchscreen (now in its second iteration) is rather well refined. The display has good definition, swapping between the main functions is relatively painless and response times are impressive. The only problem we had was when tried to use the sub-menus, because some of the smaller icons are tricky to hit on the move. It would have been better if Peugeot had fitted separate controls for basic functions such as air conditioning. Much of the 308's interior is smartly trimmed (especially in Allure spec and upwards), but there are some signs of cost-cutting, including some hard, scratchy plastic beneath the centrally mounted touchscreen. 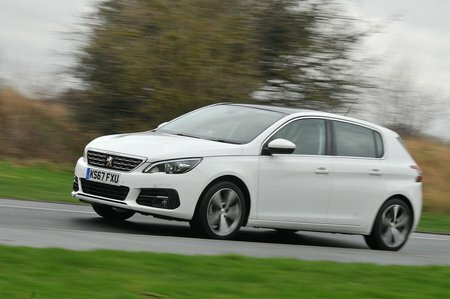 Many of the 308’s switches don’t feel as robust as those in a Volkswagen Golf or Skoda Octavia. Ultimately, it’s rivals may cost a bit more at list price, but they certainly feel higher-quality inside.